Hidden Hospitality is Surely Japan's Great Asset. One of Japan's biggest assets is its hospitality and the quality of service. 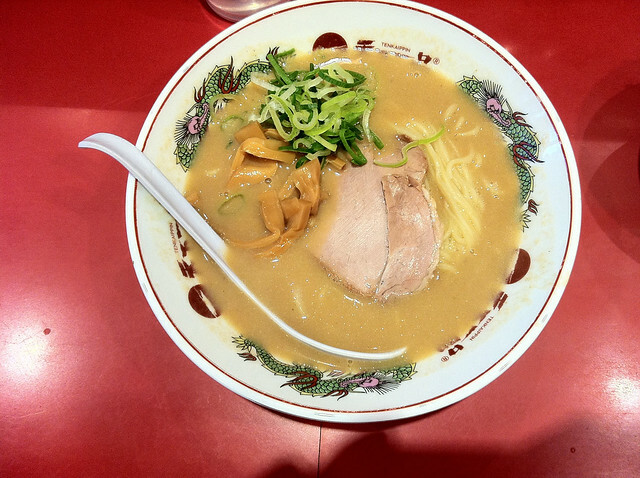 Its meticulousness and proactive ideas are the source of Japan Inc.'s assuring brand. This philosophy is transcended and submerged to a course of day-to-day activities in Japan. Let's cite 2 examples that show this trait. 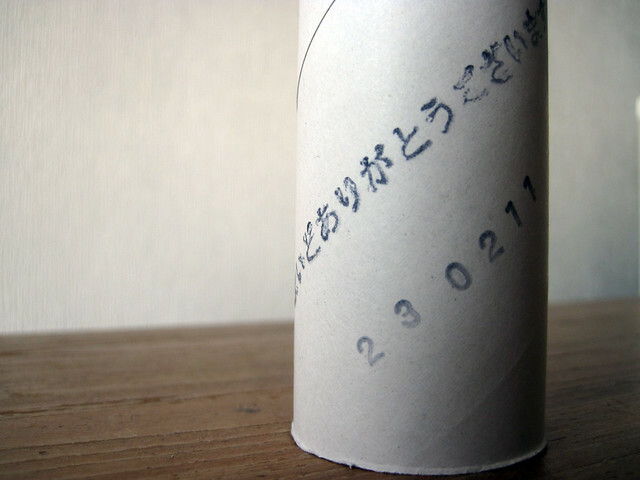 This is an ordinary used up toilet roll. 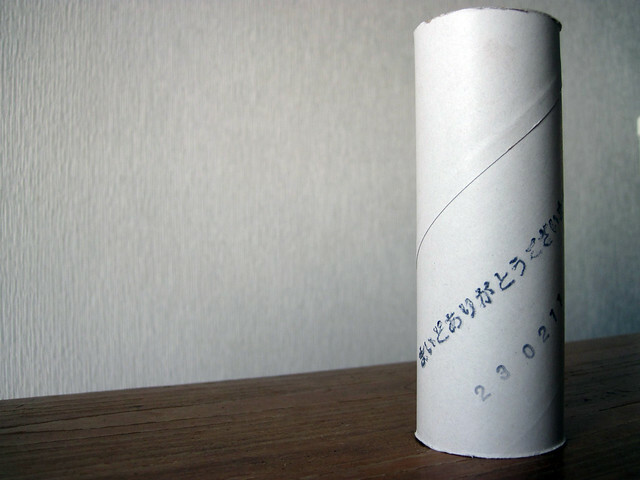 When the roll is finished, the core is to be thrown away without any hesitation. This particular roll's core has this sentence, noting, "Thank you very much for your patronage." 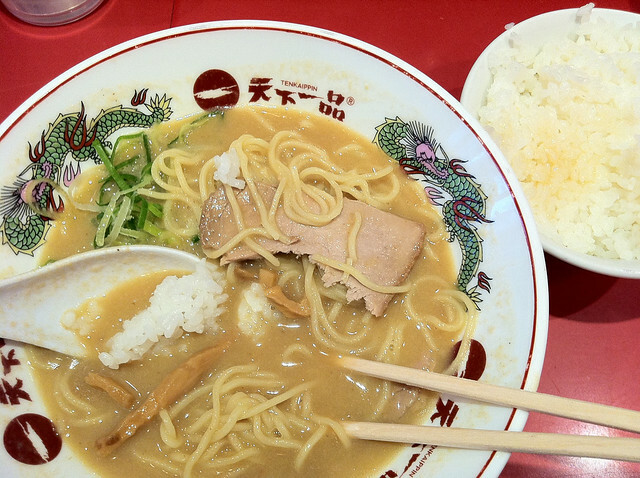 This thick soup has got very thick an dense flavor (That's why people order a small bowl of rice with ramen so he can dip rice in to a soup and eat it.) and many of the customers tend to finish it until the last drop. 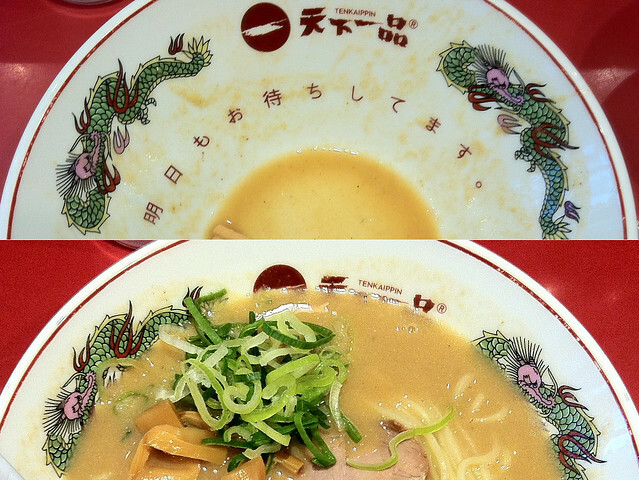 When the last drop of soup is finished something shows up on the very bottom of the ramen bowl. A sentence, "We'll be looking forward to your visit again tomorrow." Good surprise is surely one of the core ingredients to gain attention of customers, and ultimately leads to product loyalty. 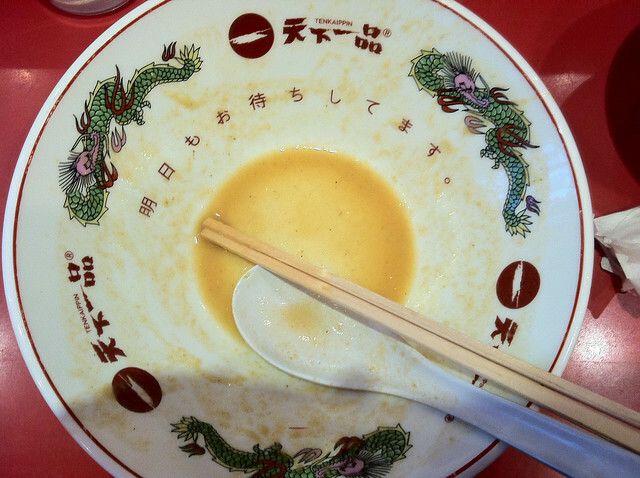 But, having this thick soup 2 days in row -- you'll surely need Alka Seltzer to digest.